Just a few weeks ago, BMW UK hosted some British journalists and influencers at the launch of all-new BMW F90 M5. The car was tested on the track, through country backroads and even through snowy conditions. 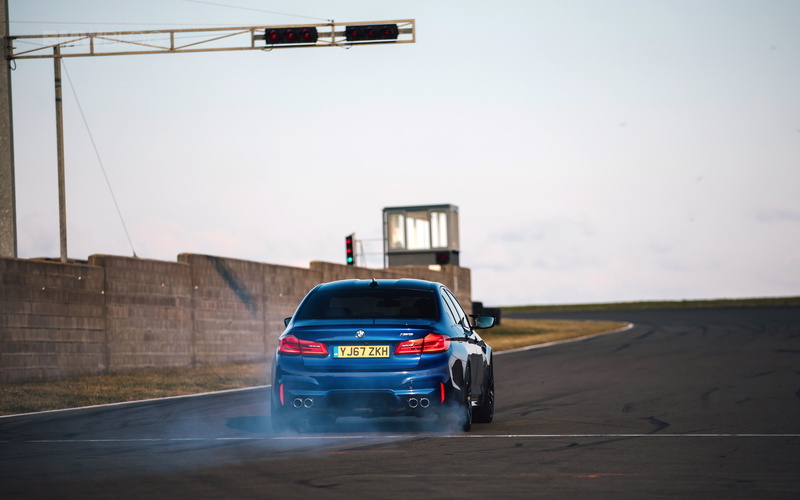 The F90 M5 has so far been received with enthusiasm by customers and the press, more recently Car and Driver recently tested the M5 on their own and recorded simply staggering results. When launched properly, by left-footing the brake and revving it to 3,000 rpm, which will allow the rear wheels to spin while keeping the fronts locked, C&D recorded a 2.8 second 0-60 mph time. That time puts the BMW M5 ahead of the Tesla Model S P90D, making it the fastest sedan they’ve ever tested. It’s also faster than the Audi R8 V10 Plus (2.9 seconds), Nissan GT-R (2.9 seconds) and the Mercedes-AMG GT R (also 2.9 seconds). Most BMW fans were quite angry with the M5’s switch from pure rear-wheel drive to all-wheel drive. 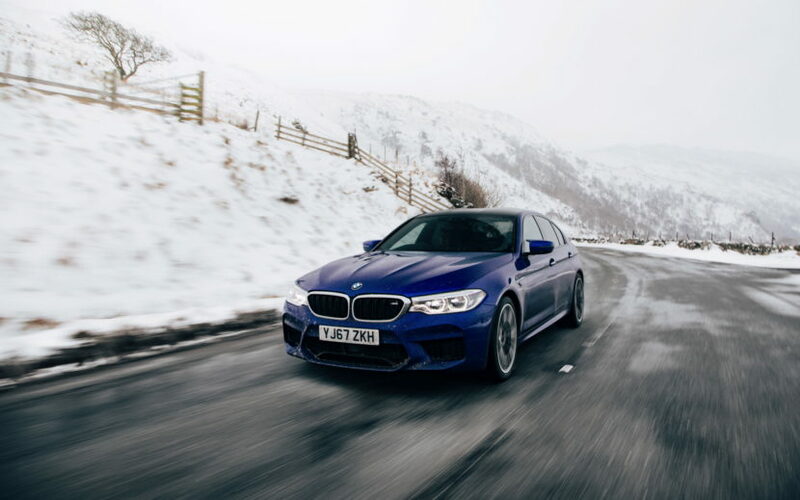 Pitchforks were sharpened, torches were lit and mobs were ready to riot when the new M5 lost its bite. 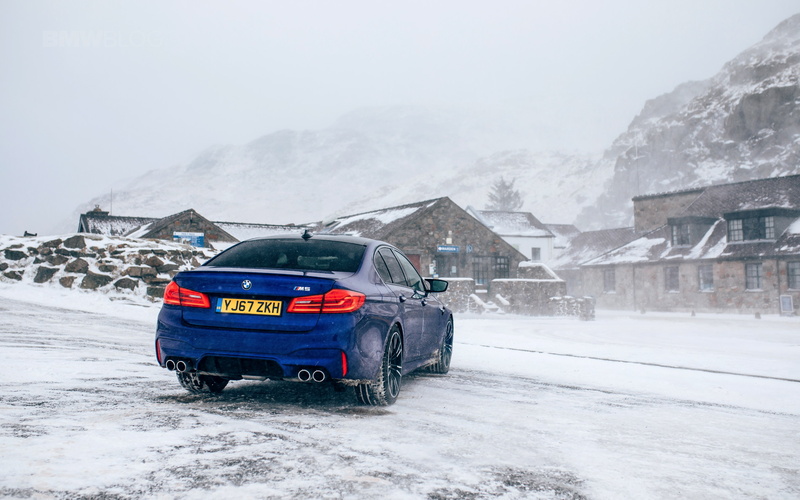 However, they can pack those things up and go home, as it turns out the new M-specific xDrive all-wheel drive system absolutely does not ruin the fun. If anything, it increases the fun because it can help you go a lot faster and kick its tail out while keeping you safe. 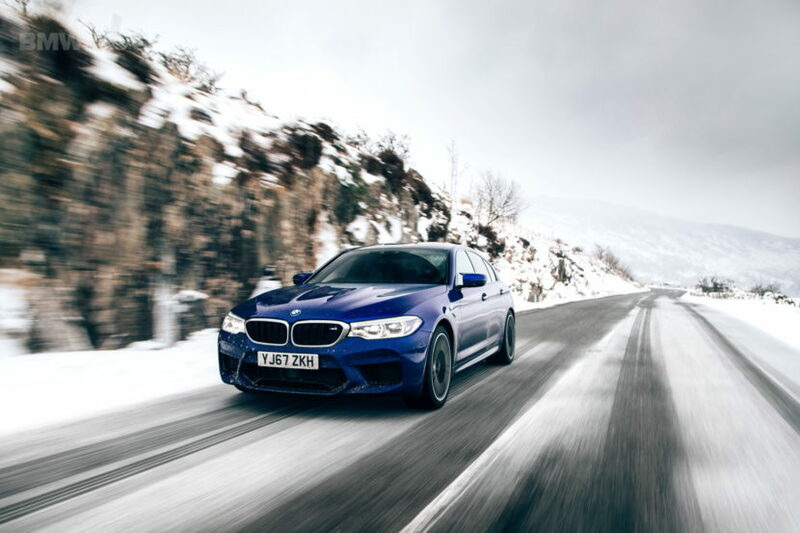 The 2018 M5 features the newest version of BMW’s 4.4 liter twin-turbocharged V8 engine. Now, it makes 600 hp on the nose and 553 lb-ft of torque. All of that fury is sent through an eight-speed ZF-sourced automatic that’s been specifically tuned for M5 duty. Top speed is electronically-limited to 155 mph. However, with an optional M Driver’s Package, that top speed increases to 189 mph. The new high-performance sedan is now available for purchase in England at a base price of £89,645.